Ok we are all getting there at one time or another .. just after turning 40 ish ...but who wants to admit that we have trouble reading the small print? It is however not the greatest idea to reach for a ready reader without having a proper eye examination as most people will grab a reader that is way too strong and probably doesn’t meet their vision needs for both eyes. As great as they are as an emergency pair they can and will not meet your vision needs in full. So why give away your age by wearing old fashioned and outdated bifocals when you can have a pair of “no line” bifocals or multifocals. But beyond being just a multifocal lens with no visible lines, progressive lenses offer other advantages as well: primarily, the ability to see at all distances, including at arm's length for computer use and up close for reading. Comfortable Vision at More Distances than Bifocals and no jump in vision. Also we find that it is important to choose an adequate frame size for a multifocal lens. A very small frame will not work as well as a slightly bigger style. 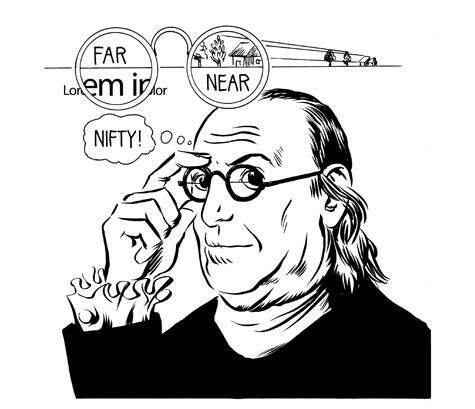 To attempt to see objects at this "intermediate" range clearly, bifocal wearers must bob their heads up and down, alternately looking through the top and then the bottom of their bifocals, to determine which part of the lens works better. Bifocals also put you at greater risk for computer vision syndrome (CVS) when using a computer for extended periods. Bifocal wearers have to sit closer to the screen and tilt their heads back to see through the bottom part of their lenses. This unnatural posture can lead to muscle strain, neck pain and other symptoms of CVS. Progressive lenses more closely mimic natural vision before the onset of presbyopia. Instead of providing just two lens powers like bifocals (or three, like trifocals), progressive lenses are true "multifocal" lenses that provide a smooth, seamless progression of many lens powers for clear vision across the room, up close and all distances in between. AS the demand for progressive lenses - multifocals grow – the technology is advancing faster and faster. For instance - Wider zones of clear vision. In early progressive lens designs, the lateral field of view for computer use and reading was somewhat limited. This required wearers to make frequent small head movements and "point their nose" directly at an object to see it clearly. In today's progressive lenses, the size of the zones for computer use and reading has been increased. And for computer users, special occupational designs greatly expand the intermediate zone for enhanced comfort at the computer. More comfort for active wear. With early progressive lens designs, first-time wearers frequently noticed soft blur and other peripheral aberrations that could give the sensation of movement or "swim" during quick head movements. Today's progressive lenses have better optics and fewer peripheral aberrations, making them very comfortable for active wear. Some of the newest high-definition lens designs found in modern progressive lenses are created with the same wave front-guided technology used in LASIK surgery for crystal-clear optical performance over a wide field of view. For the best vision, comfort and appearance, we advise you to consider purchasing an anti-reflective (AR) coating for your progressive lenses. AR coating virtually eliminates distracting lens reflections that can cause glare when driving at night. It also makes your lenses nearly invisible, for better eye contact with others and a more attractive appearance. For outdoor wear, many of today's progressive lenses are available in photochromic tints for greater comfort when going in and out of the sun. Some progressive lenses are also available as polarized sunglasses. With so many progressive lens designs and options available today, the choices can be overwhelming without professional advice. We are here to support you in making the right decision and making a wise investment and to get the progressive lenses that work best for you. We will recommend a truly customized progressive lens solution for your lifestyle, visual needs and your budget.